There are many properties for sale, such as Bukit OUG Condo. Many people are hoping to earn some extra income by getting into property investment. Before you start listing your property for rent, it is essential to know how to make your rental property more appealing. I cannot stress this enough as this is the most basic rule in boosting your house rental value in Kuala Lumpur: cleanliness. Many people overlook the basic rule of keeping their house in a clean condition. This includes both the inside and the outside. Clear the garbage, sweep and mop the floor, clear the mess, make sure the pathway is clear of unwanted objects. Keep your unit clean, tidy and clear of obstruction. It is also good to have an air freshener in the house to get rid of any undesirable smell. Kitchen and bathroom fixtures such as faucets, sinks, door knobs can get old quickly or even outdated. Consider changing fixtures that have been around for more than 5 years. Take the design and quality into account as well when you are changing them. The positioning of fixtures and fittings play a major role in boosting up your house value as well. Nothing annoys the tenant more than having a fixture placed at a very odd and inconvenience location, for example, toilet paper holders located at an unreachable location. Choosing the right paint, the right color makes a huge difference. Using the right paint can instantaneously revive and brighten your initially dull looking unit. Therefore, choose a color that will brighten up your unit or a color that adds a touch of liveliness for your unit. Make sure you use only good quality paint as well to protect your home and will certainly last you a few years. If you are unsure of which color to choose, you can always ask for advices from the stores, as most stores offer a wide variety of colors for you to choose from and they will be able to advise you on the matching of the color that suits your house theme. Stay realistic. You might really love this lighting but it is not suitable for your unit that is smaller in size. You do not want your tenants to feel restricted while living in it or feel stressed out by worrying he might break your expensive European style lighting. Choose a lighting that matches your house and consider the convenience that it will bring to your tenants. Same goes to enough plug points in the house. Nothing annoys the tenants more than having not enough plug points or having the plug points located in an odd position, and end up having to buy extension plug for their appliances, especially nowadays, we depend so much on electrical technology. Forget about the idea of getting a really posh light bulbs or curtain rod too. Imagine you being a tenant and having to go to different stores just to buy that one particular light bulb that the owner is using. Not to mention, expensive. This is going to be a huge turn off to the tenants. So, keep everything simple, and convenient. Maintain your house. Service your air conditioner once in awhile. Just like your wellbeing. You constantly maintain it instead of only trying to stay healthy when you fall ill. Potential tenant needs to know that you take care of the property and you care about the condition of the house. Make sure all the electrical appliances and furniture are in excellent condition. Imagine you being a tenant yourself, would you prefer a clean and tidy unit or a unit that is always messy and dirty? Your answer would definitely be the former, and true enough, a good housekeeping is what keep your rental value high. Tenants will much prefer a well-cared house that is always clean and tidy. Engage with weekly cleaners to have them clean your house weekly. Keep the kitchen and the bathroom clean at all times. This will have a huge impact on your rental value and can also encourage your current tenants to stay longer or extend their contracts. It is actually not a hard job to boost your house rental value in Kuala Lumpur if you follow all these tips. Make some simple improvements to your unit and make your tenants feel like it is more than just a house but a home sweet home. Most importantly, they are mostly low cost. 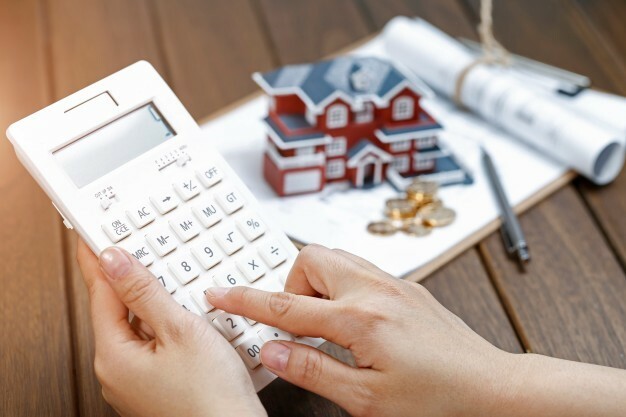 You will be blown away on how much of a huge difference it can make if you follow all these tips and at the same time, boost your house rental value in Kuala Lumpur.